Here’s a nice little turn key (manufactured) tiny house option. It’s a tiny cabin made by a company that builds park model homes and campground cabins. They have a wide variety of designs to choose from too: 175+ park models, 50+ cabins, and 25+ lofts. Pictured below is the floor plan for one of the smallest cabins with a bathroom and kitchen. It looks like it’s about 130 square feet. Cavco Cabins come in a variety of finish levels from fully insulated and plumbed units just like a real house to a line of basic cabins with built-in bunk beds and no plumbing. I first spotted these on Kent’s Tiny House Blog where a guest blogger, Christina Nellemann, wrote about a short stay in on of these cabins at a campground McArthur-Burney Falls in northern California. In fact it looks like on the Cavco Cabins website you can find retailers and campgrounds in many states. I did a quick search on ‘California’ and found dozens of campgrounds that have these little cabins for rent. So if you’d like to experience tiny house living you might try spending a weekend in one of these little cabins. In fact it might be the easiest and least expensive way to give it a try. You might even want to bring a mental list of all your stuff and then go through the exercise of imagining your stuff in the tiny space. Who knows by the time you get home you might be motivated enough to have that big yard sale and lighten your load. Sometimes it takes getting away from your stuff to help you realize what it does for you and to your peace of mind, kind of like taking a vacation from your stuff to gain perspective. Photo credit Cavco Park Homes & Cabins. This entry was posted in Builders and tagged cabin plans, cavco, cavco cabins, manufactered home, tiny cabin, tiny house. Where might I find any of these homes for sale ? 1) Can I buy just the plans? 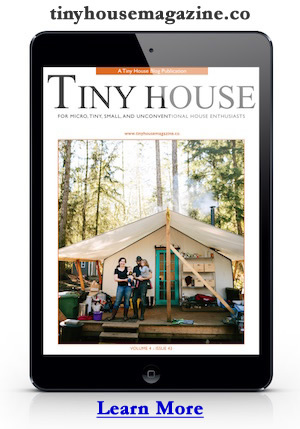 2) If someday they decide to regulate these awesome Tiny homes will the prints pass current building standards?